There are few data regarding the risk factors of premature vs late-onset Coronary Artery Disease (CAD). This study systematically reviews these risk factors in Iranian people. Medline, Web of Science, Embase and SID (Scientific Information Database; www.sid.ir) databases were searched for studies comparing CAD risk factors in young and older patients in Iran. Data extracted and pooled odds ratio (OR) with 95% Confidence Interval (CI) for each risk factor were calculated. Publication bias was evaluated by Egger’s test. Seven studies (9080 participants) were included in the meta-analysis; analysis was carried out independently for each risk factor. Smoking (Odds Ratio (OR): 2.57, 95% CI: 1.96-3.37; p=<0.001), family history of CAD (OR: 2.45: 95% CI, 1.44-4.15, p<0.001), opium abuse (OR: 2.44: 95% CI, 1.22-4.88; p=0.001) and hyperlipidaemia (OR: 1.4: 95% CI, 1.13-1.73; p=0.001) were more common in premature CAD compared with older CAD patients. In contrast, diabetes mellitus (OR: 0.54: 95% CI, 0.39-0.73; p=0.0001) and hypertension (OR: 0.36, 95% CI: 0.21-0.59; p<0.001) were less prevalent. Risk factors were significantly different between premature and late-onset CAD. Policies regarding smoking and opium cessation and controlling hyperlipidaemia may be useful for the prevention of premature CAD in Iran. 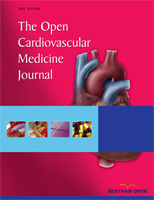 Keywords: Coronary artery disease, Premature, Cardiovascular risk factors, Hypertension, Hyperlipidaemia, Diabetees mellitus. © 2019 Morovatdar et al.